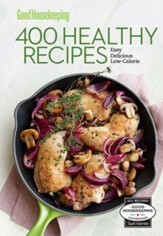 Women today are searching for ways to create healthy, delicious food, maintain a healthy body weight, and find joy in their daily lives. Devotions for a Healthier You will not only strengthen a woman’s soul but will also help her take care of her body and mind. Katie Farrell, creator of The Dashing Dish, a wildlypopular lifestyle blog, has gained national media and online attention. 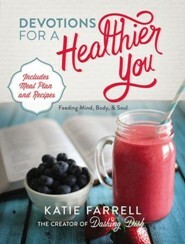 In this devotional, filled with scriptures, encouraging stories, and tips on keeping a healthy mind, body, and spirit, Katie will draw in her existing audience, as well as young women who desire to maintain balance in all areas of their lives. Women today are searching for ways to create healthy, delicious food, maintain a healthy body weight, and find joy in their daily lives. Devotions for a Healthier You will not only strengthen a womans soul but will also help her take care of her body and mind. Katie Farrell, creator of The Dashing Dish (dashingdish.com), a wildly popular lifestyle blog, has gained national media and online attention. 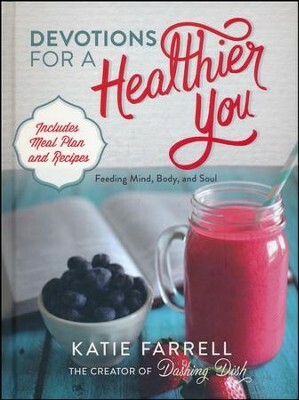 In this devotional, filled with scriptures, encouraging stories, and tips on keeping a healthy mind, body, and spirit, Katie will draw in her existing audience, as well as young women who desire to maintain balance in all areas of their lives. 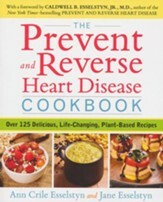 Each devotion includes a Bible verse and encouraging text, along with recipes, exercise tips, meal planning, and healthy lifestyle tips. A month-long meal plan is also included. This devotional will show women that if they give God control of their lives, they will find more freedom and joy than they could have ever imaginedthe freedom and joy that can be found only in Him. 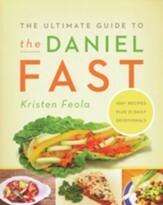 Katie Farrell is the author of Dashing Dish, a healthy recipe website and ministry to women. Katie is a registered nurse from Michigan, where she lives in Brighton with her husband of five years. Dashing Dish is a combination of Katies passionshelping women find their identity in God and ending misconceptions about healthy eating. Katie wants to inspire women to find the balance between spiritual and physical health, all while enjoying the journey! 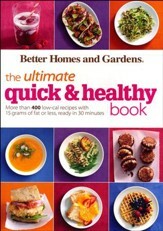 I'm the author/artist and I want to review Devotions For A Healthier You.